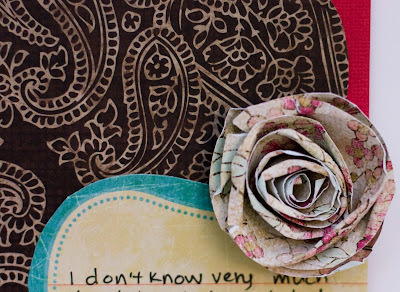 I may be a teeny bit addicted to these rolled paper flowers ;) Seriously I cant stop making them! 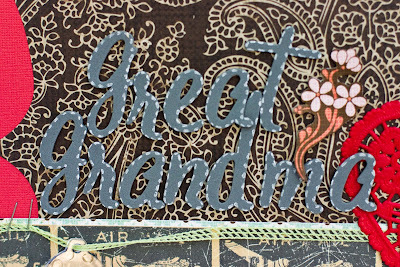 I used a white gel pen to add some faux stitching around the gray letters to make them stand out more. 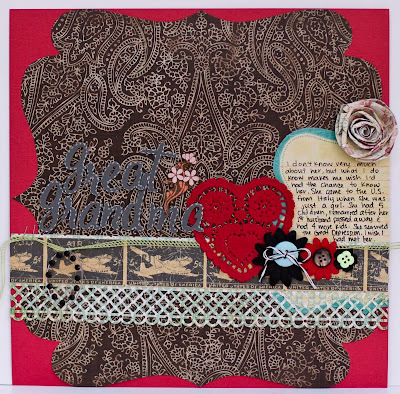 Everything on this layout was from the Girl's Loft kit I won on The PaperLife. I think the kit was their February kit. Anyway, go on over to ScrapTiffany (who was interviewed on The PaperLife--do you see how the 6 degrees of separation thing works in scrapbooking too lol!) and check out the other fabulous designs. If you take the challenge, be sure to email it to Tiffany. Oh, and I foresee more blog posts in my future this week...Serendipity Scrapbooks is hosting a crop this weekend!! It is called Sweet Taste of Serendipity Crop. We have a ton of challenges and fun things planned.....and of course there will be prizes, so be sure to stop by. What a fabulous LO! I know what you mean about meeting famous. I think the same way about someone famous. Love that you did the LO even without a picture. And I love those flowers and need to make one. I just can't master those rolled flowers. But yours are awesome! Great non-photo page! Love how you added the stitch marks around the lettering. Beautiful page! I feel the same way about meeting people I admire. I'd rather keep them on the pedestal! LOL! I have GOT to try those rolled flowers. Yours look FABULOUS! Your rolled flowers are fabulous Rebecca!! I love that you did a layout with no photos, it's really lovely. Such great details! well that got me all choked up. i think that is an amazing choice. I love your write-up about this layout. I've met many famous people and they are hardly ever what they are cracked up to be. There are lots of people in the Bible or in History I would like to meet. I love that it was someone in your family! You are a talented artist and a very wise woman!